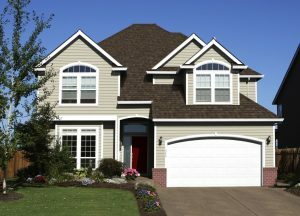 Roofs are the toughest part of any home: they stand up to sun, wind, rain, hail, and snow year after year. Modern residential roofs commonly last over two decades. That is a lot of wear and tear! At Tim Leeper Roofing, we know that Nashville weather can be hard on a roof. We also believe that maintenance is your most powerful money-saving tool, and that is why we are proud to offer residential roof repair. Roofing repair empowers you to get the most out of your roof without fully replacing it every time there is an issue. 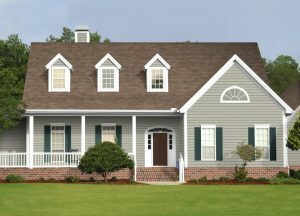 Our roof repair experts can handle leaks, blown-off shingles, damage from overhanging trees, and more. Maybe you notice your roof collects water in certain areas, an issue called “ponding” – we can fix that. You may have issues with the metal flashing around vents or chimneys. We can fix that, too. At our roofing company, we feel very strongly about assessing the roof and being transparent with its owner. When you call us for residential roof repair, we will thoroughly inspect your roof and report our findings straight to you. If you want to proceed, we will create a transparent contract complete with costs that you can sign when you feel comfortable. If you’re ready to let us get to work, we will mobilize a team of experts who will treat your roof as if it is their own. Your roof plays a critical role in the health of you and your loved ones. When it needs help, put it in the hands of Nashville’s Top Rated Local® Roofer. Call Tim Leeper Roofing today.